Elizabeth Waverly never dreamed that taking a convict transport back to her home in Australia would change her life. But from the moment she lays eyes on John Martin, she cannot resist her growing attraction to him. She knows the man faces a life sentence for murder, but her heart refuses to believe he is guilty of the charges against him. How could someone who so valiantly protects others and accepts another prisoner’s punishment be a brutal felon? Yet once the transport ship lands in Australia, their paths are bound to head in very different directions. Is their love destined to become a bittersweet memory of what might have been, or will faith show them another way? 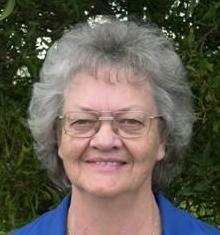 Mary is a multi-published Australian romance author with 19 titles. After being published by Harlequin Mills and Boon medicals, Heartsong Presents and Barbour, her most recent single title Bargagula series is published by Ark House Press in Sydney. I am a member of the Society Women Writers Tasmania, Romance Writers of Australia, Omega Writers, Australian Christian Writers Fellowship, American Christian Fiction Writers, Romance Writers America and their Faith Hope Love chapter. My Heartsong Presents back list titles are being released by Truly Yours Digital Editions. Faith in the Great Southland is now available with the other 3 in this series to be released June and July. She is available to speak and share what she has learnt about writing novels, her writing journey and faith in our incredible God. For more about Mary, go to her website.